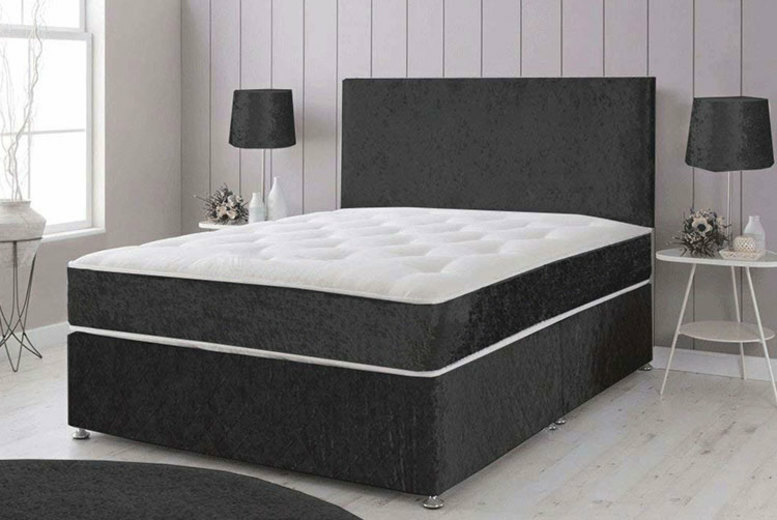 Home » Crushed Velvet Divan Bed with Headboard, Cooling Mattress & Optional Drawers! Crushed Velvet Divan Bed with Headboard, Cooling Mattress & Optional Drawers! Get a pocket sprung crushed velvet divan bed! With a choice of four colours- Silver, Black, Champagne Gold and Gunmetal Grey Upgrade your option to include two or four drawers. Comes with a memory spring mattress. Six sizes to choose from: small single, single, small double, double or king or superking. A stunning contemporary design, complete with a matching headboard and castors! Bow Tie-Front Dress – 3 Colours & UK Sizes 8-14!